Born: 4 June 1896, Cradock, South Africa. .
Died: 5 August 1989, Pretoria, South Africa . 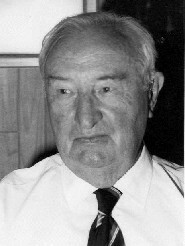 Schalk van Rensburg obtained a Bachelor of Arts degree at Stellenbosch University and then qualified as a veterinarian (MRCVS) in London in 1921. Returning to South Africa the next year he served as Government Veterinary Officer in various places, including Middelburg, Ermelo and Vryheid. He subsequently moved to Onderstepoort where he first lectured in Medicine in the Veterinary Faculty of the University of Pretoria, and in 1947 became Professor of Surgery and Gynaecology. In this capacity he conducted research on infertility and artificial insemination, mainly in cattle, and became known as the "Father of artificial insemination" in South Africa. He resigned in 1953 to become Senior Research Officer for the Dairy, Meat and Wool Boards. After retiring he opened a veterinary and agricultural bookshop called "Libagric" and at the age of 85 published a book entitled "From the horses mouth".